In August of 2017 I joined a snorkeling with seals tour off the coast of British Columbia, Canada. I can’t tell you how excited I was at the idea of being in the water with these beautiful animals. I was told it was seal pup season and I bounced eagerly back and forth on the balls of me feet all morning in anticipation of seeing the adorable, fluffy pups in their natural habitat. I was like a kid going to Disney for the first time. But, my enthusiasm and excitement plummeted as I faced what would quickly become one of the most humiliating moments in my life. I tried to remain positive as the woman fitting me for a wetsuit grumbled about how it was going to be difficult to get something in my size. I told myself to keep smiling as the first two wetsuits she gave me wouldn’t budge over my hips. I forced myself not to burst into tears as the skin on my fingers peeled away, leaving my fingers raw and bleeding as I struggled to pull too tight neoprene over my curves. In the end, I found one that ‘fit’- an oversized men’s suit that was far too long in the legs and torso but thankfully did up over my hips and chest. However, as I finally made my way to the boat, which was delayed nearly thirty minutes because of my inability to find a wetsuit in my size, my previous excitement was overshadowed by the pain and humiliation I had just suffered through. While this was perhaps my most traumatic experience, it wasn’t the only one. Over the past few years I’ve gotten used to concerned looks when I ask to rent a suit, or the loud ‘do you think this will fit?” comments as they hold large suits up for me in front of an entire group. Perhaps the easiest thing would be to buy my own and not have to rely on the dive shops. But, while that may seem like a good option, it proves to be equally as disheartening as I scan through your websites only to see the same limited sizes over and over again. So, I’ve learned to take it for what it is, and though my cheeks still flame red with embarrassment I do my best to hold my head high because I know I deserve to be in the water just as much as anyone else. I refuse to let body size discrimination prevent me from doing what I love. But, while I am quick to put on my brave face, I still live in fear that one day there won’t be a wetsuit to ‘fit’ me. That one day I will get left behind because you, the wetsuit manufacturers, decided that I wasn’t deserving to dive because of my body size. My struggles are not unique. I am not alone in my frustrations. 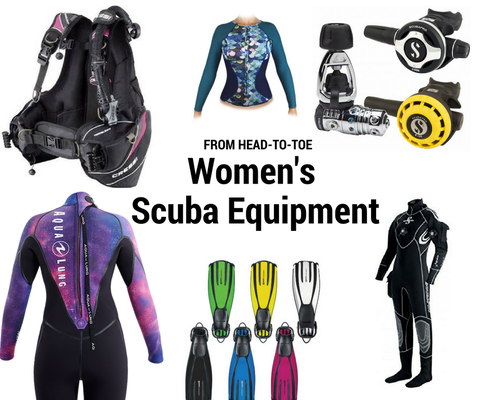 The female scuba diving community is filled with women who feel uncomfortable and embarrassed trying to find a wetsuit to fit. The GTS page is filled with stories of shame and humiliation and of having to make do with ill-fitting and uncomfortable suits just to do something we love. 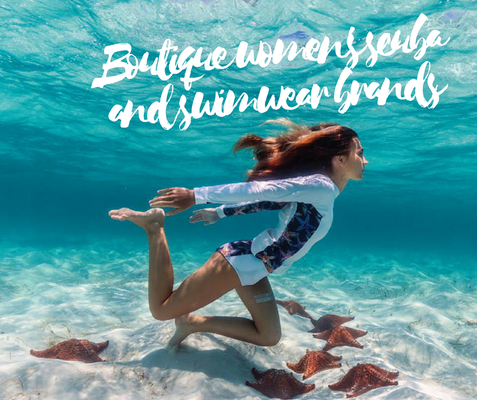 And so, wetsuit manufacturers, as a plus size woman who loves to dive and is sick and tired of the stress and humiliation that comes with trying to find a wetsuit, I’m coming to you. The next time you create a suit, I want you to think of me. Of my bleeding fingers, my stress, and my embarrassment. I want you to think about the women you’ve limited and let behind. Then I want you to consider how much of a market you are missing, and how much you could grow and capitalize your business just by expanding your sizing. I’m not asking for much. I’m not asking for a miracle or a specific product just for me. I’m just asking to be included. Because I can promise you that I’m not alone, and as much as you adding additional sizing will benefit us, our sales and enthusiasm at finding someone to support our cause will benefit you. 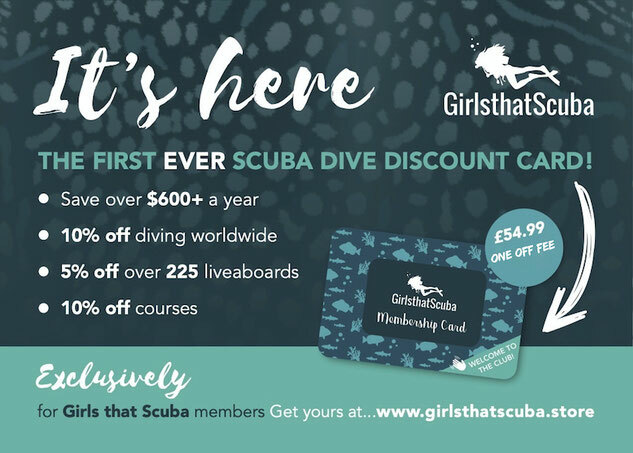 Save $$ on wetsuits with your own GTS discount card! Hannah Logan is a Canadian travel writer and blogger. She loves the ocean, ancient history, and secretly dreams of being just like Indiana Jones. You can follow along with her (mis)adventures on her travel blog, Eat Sleep Breathe Travel, or on Instagram and twitter: @hannahlogan21.